Urinary tract infections after JJ stent insertion are among the most common complications, and the associated microorganisms carry more antibiotic resistance determinants than those found in urine prior to stent insertion. In line with the trends in healthcare epidemiology which implicate multi-resistant microorganisms in a plethora of healthcare-associated infections, prosthetic stent material also represents an ideal milieu for biofilm formation and subsequent infection development with resistant bacterial agents. 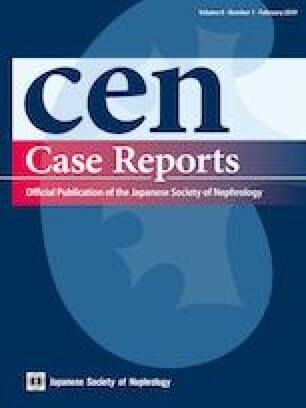 Here we describe a case of a 73-year-old Caucasian woman presenting with urinary tract infection after JJ ureteric stent insertion due to ureteric obstruction and hydronephrosis of her left kidney. Extensive microbiological work-up and comprehensive molecular analysis identified the putative microorganism as carbapenem-resistant Enterobacter aerogenes carrying New Delhi metallo-beta-lactamase 1 (NDM-1). This is a first literature report implicating such extensively resistant strain of this species in early indwelling ureteric stent complications, and also the first report of NDM-1 in Enterobacter aerogenes in Croatia and Europe. IF, BB, NB, ALG and GZ conceived and planned the experiments pertinent for this case description. IF, BB, NB and GZ carried out the experiments. IF, BB, ALG, LB and GZ contributed to sample preparation. BB, NB, SM, LB and TM contributed to the interpretation of the results. IF, BB and TM took the lead in writing the manuscript. All authors provided critical feedback and helped shape the research, analysis and final version of the manuscript. No funding or financial support was received. All authors have declared that no conflict of interest exists. No funding or financial support was received. The study describes clinical and diagnostic procedures of a specific case. All procedures performed were in accordance with the ethical standards of the institutional research committee and with the 1964 Helsinki declaration and its later amendments. Informed consent has been obtained from the patient presented in this paper.